Lost Disney Film, Featuring Oswald The Lucky Rabbit, Found In Norway : The Two-Way Archivists at Norway's National Library, at its vault in the Arctic Circle, found an almost complete version of Empty Socks, featuring the character who preceded Mickey Mouse. Only 25 seconds of Empty Socks, a Walt Disney cartoon featuring Oswald, was thought to exist. But archivists at Norway's National Library conducting an inventory at the library's vault in Mo i Rana, in the Arctic Circle, found an almost complete version of the film. "At the beginning, we didn't know it was a lost cinematographic treasure," said Kjetil Kvale Soerenssen, an archivist at the library. "The film was in two reels which weren't clearly labeled." His comments were reported by Agence France-Presse. The film, which was authenticated by Disney cartoonist David Gerstein, has between 30 and 60 seconds missing. The original film was 5 minutes, 30 seconds. The film was digitized and a copy sent to The Walt Disney Co. This is the second Oswald film to be discovered in recent years. Hungry Hobos was found in the U.K. in 2011. Walt Disney created Oswald in 1927 with his chief animator, Ub Iwerks, for Universal Studios. But Disney quit the following year, and came up with the idea for Mickey Mouse. Empty Socks was one of nine Oswald cartoons made by Disney. 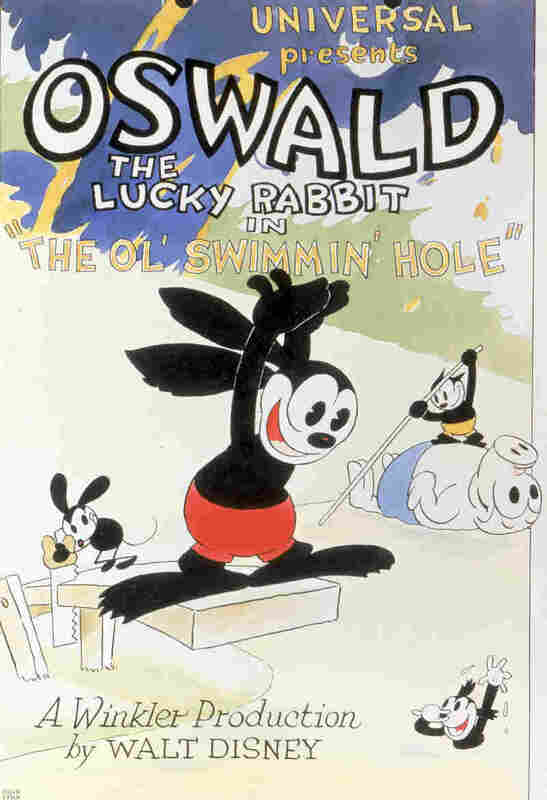 Oswald stayed with Universal, which continued to make cartoons featuring the Lucky Rabbit during the 1930s and into the 1940s. Oswald was reacquired by The Walt Disney Co. in 2006 — he was traded to NBCUniversal for sportscaster Al Michaels — and was featured last year, alongside Mickey, in the 3-D cartoon Get a Horse. It was his first Disney appearance since the 1920s. Oswald was also featured in Disney's video game franchise Epic Mickey.